What is the Diagnostics Tracking Service? 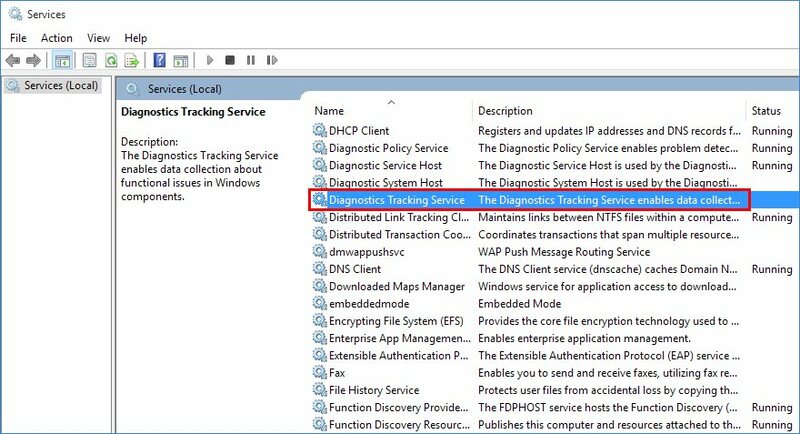 The Diagnostics Tracking service collects diagnostics about functional issues on Windows systems that participate in the Customer Experience Improvement Program (CEIP). CEIP reports do not contain contact information, such as your name, address, or telephone number. This means CEIP will not ask you to participate in surveys or to read junk email, and you will not be contacted in any other way. Well, okay, doesn’t sound so bad, right? Sort of… This service was first installed via KB3022345, which was an Optional update served up to you via Windows Update. If you’re like most people, you take the optional updates because it fixes stuff. But in this case, it would have been nice if we had been given a bit more info than just, “Update for customer experience and diagnostic telemetry”. That makes it sound like they’re updating something that’s already there. However, it seems that this is a brand new service, first added in test versions of Windows 10, that was snuck through the back door onto your Win 7 or Win 8 puter. 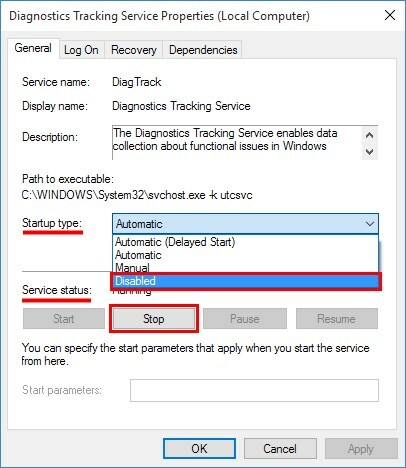 The Diagnostics Tracking Service was then updated again via another update, KB3068708. Well, come on, Microsoft! If you give people a little explanation, then they won’t think you’re pulling a fast one. But if you get sneaky about it, everyone will assume that the, “We don’t upload your private data” bit is a bunch of baloney. “Diagnostics about functional issues” is also a bit vague. No, let me correct myself: That statement is not vague at all. What IS vague is how companies and governments use interpretations of phrases like that to grant themselves rights to your private data that they shouldn’t be touching. That is the reality. So, if you aren’t doing anything evil, then just be up front and honest with people. No rocket science, no controversy, and everybody goes home happy. For those of you who have Windows 10, you may have read my post Protect Your Privacy in Windows 10. 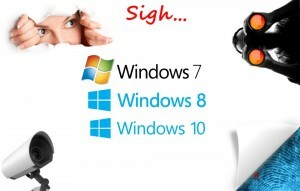 The fact is, Windows 10 is free, and so there must be a trade-off. That trade-off is that by default, your puter is less privacy-friendly. Still, you can turn all this stuff off in Windows 10, including the Diagnostics Tracking Service. But you paid for Windows 7 and Windows 8, so it’s a bit lame that this update was “conveniently” included in the updates for those OSes, as well. And again, if it’s really not doing anything evil, then why not just be up front about it? People clearly care about privacy, because a big stink was raised about this “feature” on various forums, including MS’s own support site. Now you’ll just need to change the Startup type pull-down menu to Disabled, click the Stop button under Service status, and then click OK. I went through your ‘Protect your Privacy” postings again as I have a new Windows 10 work computer. I did the latest update first, however. Uh-oh… that was ages ago that they changed it. Thanks!